What are “Mixed Martial Arts”? From Mace Martial Arts — The Other MMA! Modern Muay Thai is a sport that comes from a root of older “Muay Boran” (traditional combat styles from Thailand), and Brazilian “Jiu-Jitsu” comes from a simplified combination of Japanese Jujutsu systems and Judo. Judo itself is a blend of several different Jujutsu systems compiled by Dr Jigoro Kano, simplified to be presented to the public at large in Japan, with a focus on self development at its core. Taijiquan (Tai Chi) comes from 5 different martial arts systems, combined by a battle hardened Chinese General 500 years ago. Though it’s the most widely practiced martial art in the world, most people only learn the outer shell of it for exercise and meditation, without any understanding of the practical self-defense roots at the core of Taijiquan. Choy Lay Fut is a well-known Chinese Street-fighting martial art combination of 3 different systems (that were also combinations of other family systems). Wing Chun is widely popular Chinese Martial Art, with roots in various martial arts from the Shaolin Temple, made famous by it’s most legendary proponent, Bruce Lee. Bruce Lee is often credited as the “Father of Mixed Martial Arts”, as his philosophy “Jeet Kune Do” (“Way of the Intercepting Fist”) was to learn the basics of a system, then adapt, “use no way as way”, and express one’s self without the limitation of style. Though Bruce Lee was an inspiring visionary, the practice of mixing and adapting in martial arts has been with us since their inception several millennia ago. The legendary Shaolin Temple and Wudang Temple are both important melting pots of hundreds of different systems in China. The Shaolin (“Young Forest”) temple is often credited as the birthplace of Chinese Martial Arts, but this is not so — the Chan (Zen) Buddhist Shaolin Temple was built in the 7th Century AD, and Chinese martial arts were already deeply systematized over 4,000 years before that (refer back to Sun Tzu’s “Art of War”). Karate is commonly translated today as “Empty Hand”, however, it originally meant “China-Hand” in Okinawa, because it was comprised of multiple different systems imported from China. Later, in the early 20th Century, when Karate began to be taught in Japan, the Imperialists in Japan changed the characters’ meaning Kara (Chinese) to Kara (Empty), because of racist politics of the fascist regime at the time. Tae Kwon Do & Tang Soo Do are both Korean derivatives of Shotokan (“Shoto’s House”) Karate, Shoto meaning the nickname for the Okinawan Instructor Gichin Funakoshi, who brought Okinawan Karate to Japan. Silat are a collective of hundreds of very different martial arts styles from Malaysia, Burma, Indonesia, and the Phillipines, many of which are heavily influenced by Chinese styles of martial arts. 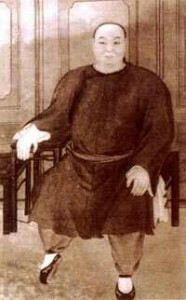 Dong Haichuan selectively accepted many disciples, though purportedly only ones that were already experts of other martial arts. Dong Haichuan then took each students’ individual background training, and enhanced it with the dynamic circular principles of Bagua Zhang, resulting in myriads of different branches of the system. 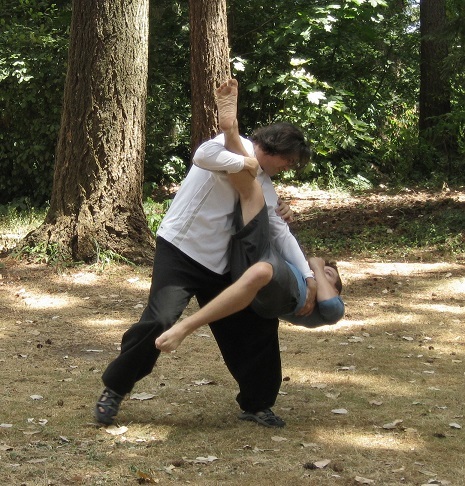 The differences between branches of Bagua Zhang is further widened, as each disciple was encouraged to find their own natural expression of the art, after they had built a solid foundation with the basics of Bagua Zhang. * Regarding Bagua Zhang’s ancient history before Dong Haichaun, please read this fascinating article by Bruce Frantzis. Thank you for being a part of this rich tradition here at Mace Martial Arts! 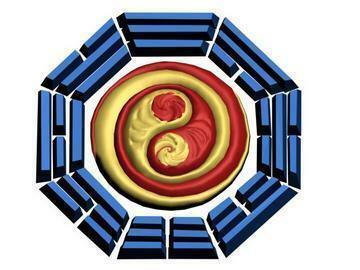 Introducing new Bagua Zhang Package Programs at Mace Martial Arts! Now offering Package Programs — for students that want an immersive learning experience, with more support and resources to help guide you to your goals.